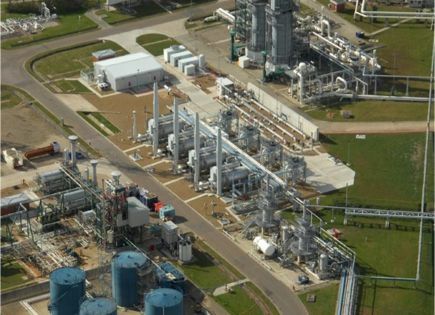 BBL Company operates BBL, a 235-kilometre gas pipeline with an hourly capacity of 20,600,000 Kwh/h between Balgzand in the Netherlands and Bacton in the United Kingdom. 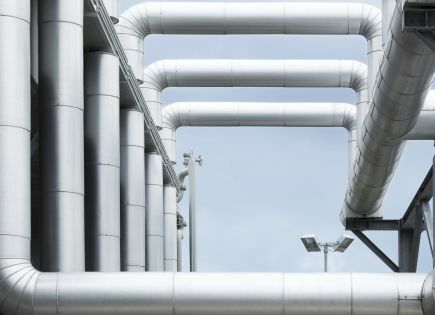 With gas flowing from the Netherlands to the United Kingdom, BBL increases the UK’s supply security, strengthens the position of the Netherlands as a leading European gas player and supports the integration of the European gas market. 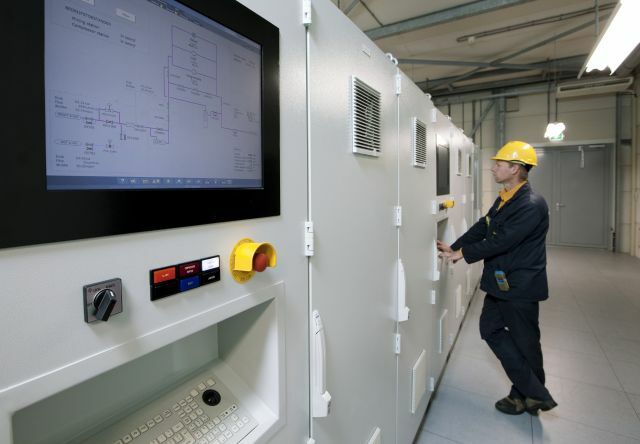 It also powers UK homes and businesses and allows shipper to exploit differences between UK and Dutch gas prices. We were established in 2004 as a partnership between Gasunie BBL B.V. (60%), Uniper Ruhrgas BBL B.V. (20%) and Fluxys BBL B.V. (20%), subsidiaries of Gasunie, E.On and Fluxys respectively. 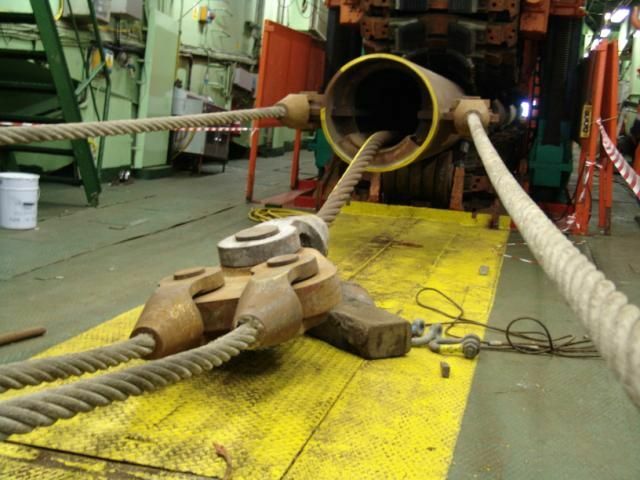 We focus on delivering best-in-class performance that meets the highest standards of safety, reliability and integrity. We apply integral quality care for a customer-oriented approach and continuous improvement of our operations. Meet all aspects of the pipline and the installations in this interactive map. Click the bullets to learn more about the installations, onshore sections, dune crossings and offshore pipeline. 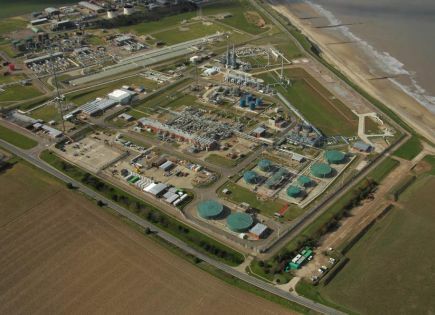 The Bacton Gas Terminal is located on the Norfolk coast in the East of England. 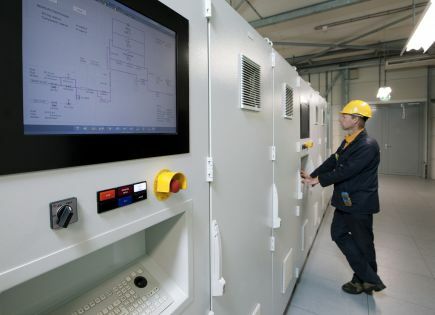 It is part of a large site that accommodates Shell, Perenco, ENI, Interconnector and National Grid. 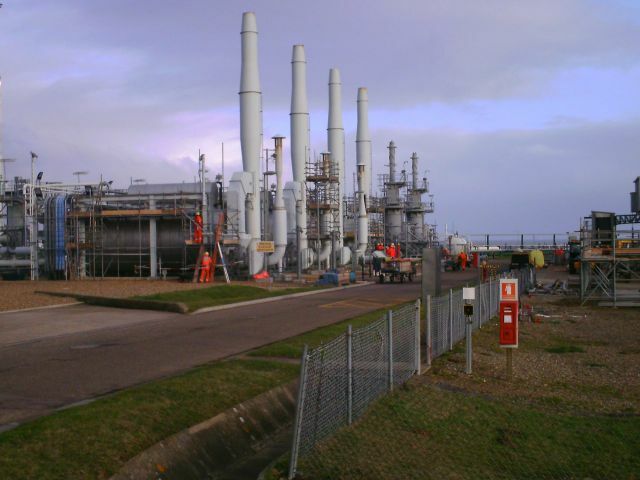 On the Shell site itself there are three distinct systems operating separately. 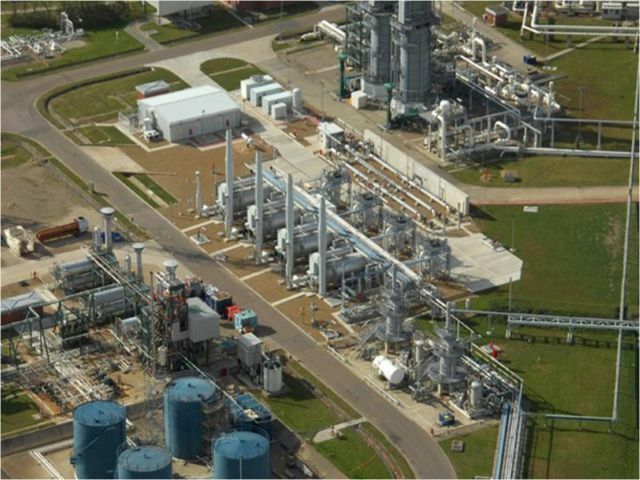 One of them, the BBL (Bacton-Balgzand line) plant, lands gas from the compressor station in Anna Paulowna in the Netherlands. The reception plant is owned by BBL Company and the plant is being operated by Shell. 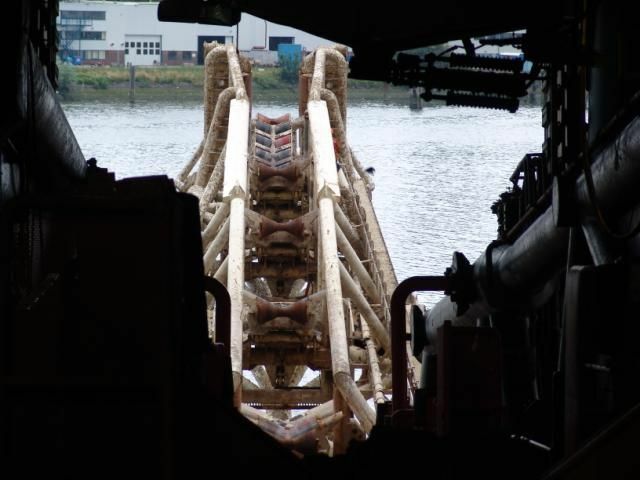 Gas lands at Bacton at approximately seabed temperature and a landing pressure which varies depending on the amount of line pack at the time. 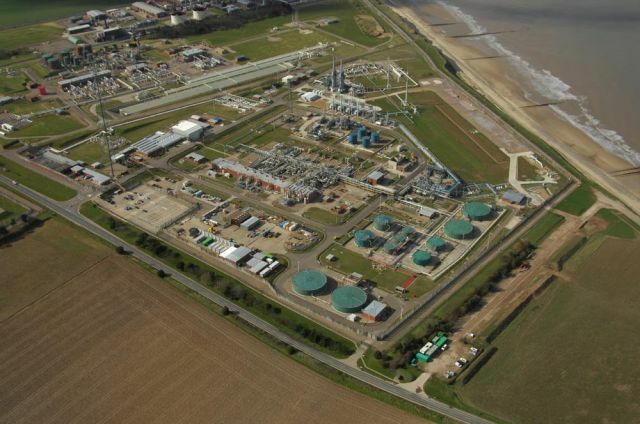 Bacton’s role is to reduce the pressure for entry to the National Grid. As such, significant Joule-Thomson cooling may occur prior to gas injection into the National Grid. 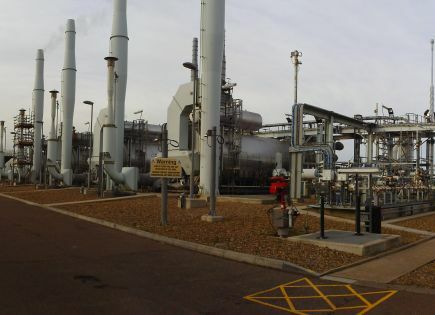 Therefore four identical parallel streams are installed at Bacton, each equipped with a direct-fired water bath heater on a slipstream and designed to operate as three duty and one standby at maximum flow conditions, in order to control the delivery temperature and pressure of the gas. 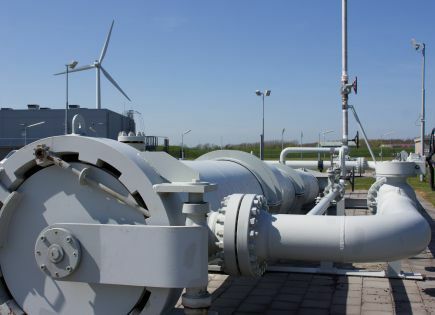 Besides the gas temperature and pressure conditions required by National Grid, the gas flow rate will vary depending on demand within a daily period and on shippers’ requirements. 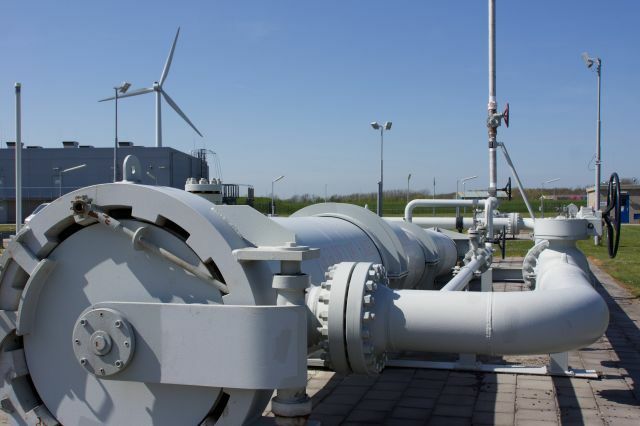 An End-of-Day system assures that the correct amount of gas is delivered. 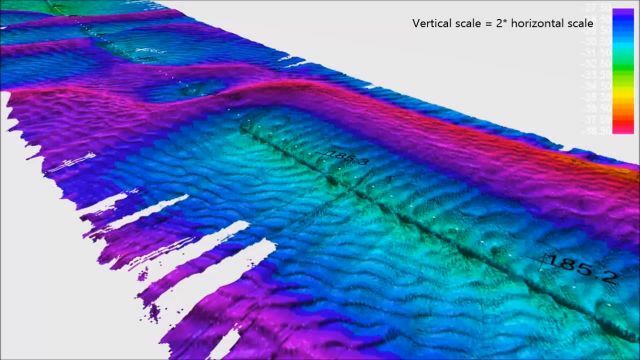 This is an area with several sand waves, which are seabed features four to eight metres high and 100 to 500 metres long. In this clip containing the results of several surveys, you see the pipeline in harmony with nature: nature has naturally backfilled the sand waves after they were trenched and the pipeline was laid through the sand wave area in 2006. The sand waves keep on moving, up to several meters per year. Therefore we regularly monitor the situation to ensure the safe operation of the pipeline. The seabed constantly changes. Tides and waves cause sand waves to move and to interact with the pipeline. 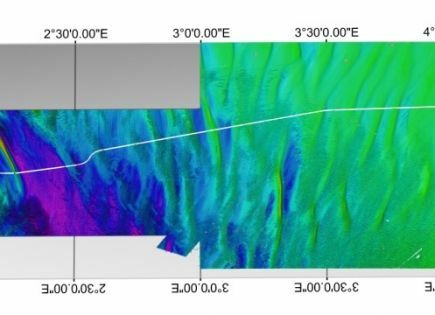 In most cases, seabed dynamics have a positive effect on the pipeline: the process causes the pipeline to lower into the seabed. 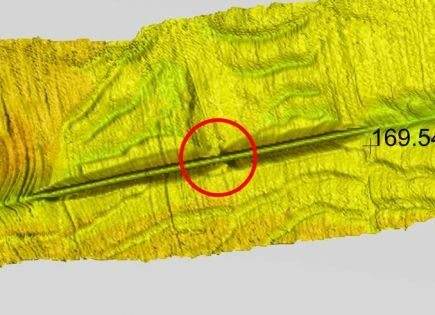 In places where the pipeline had to be buried, for instance to achieve sufficient stability or where natural self-lowering was not expected, the pipeline was buried by trenching. 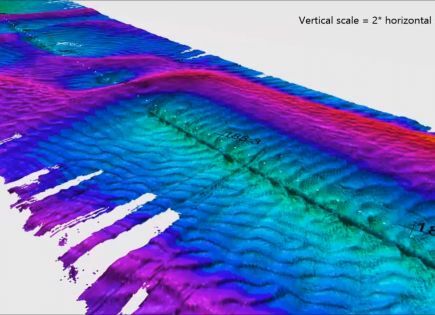 This image shows an example of seabed dynamics: a sand wave that has moved 90 meters in 6 years. 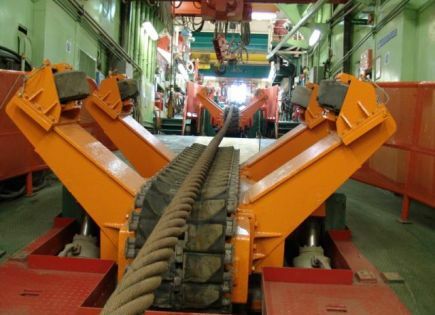 This is an example of a maintenance operation. 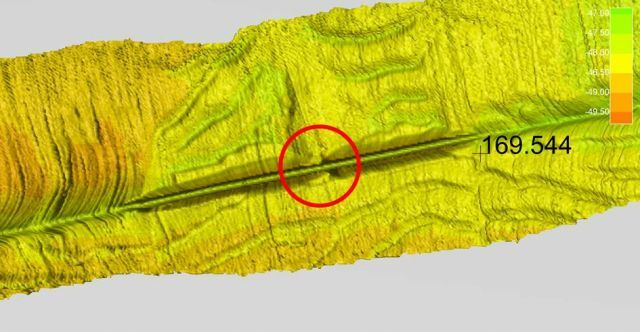 At this location erosion around the pipeline had developed in to a freespan, which means that the pipeline does not touch the sea bottom. 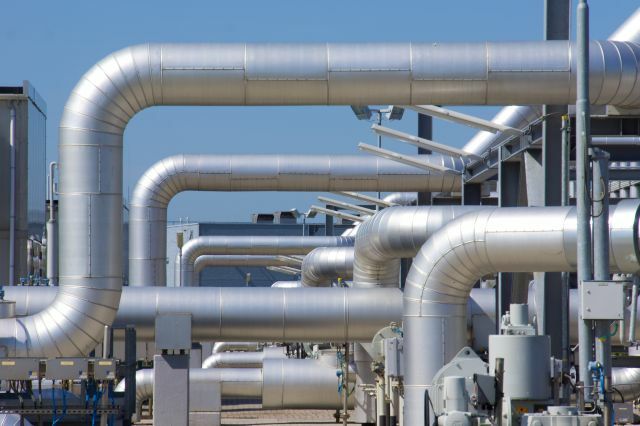 The pipeline is designed to withstand significant freespans, but there are limits. 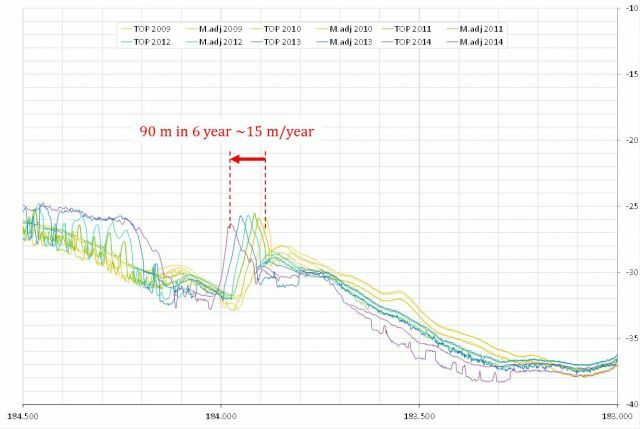 Long free spans are undesirable because the sea current could cause the pipeline to resonate. 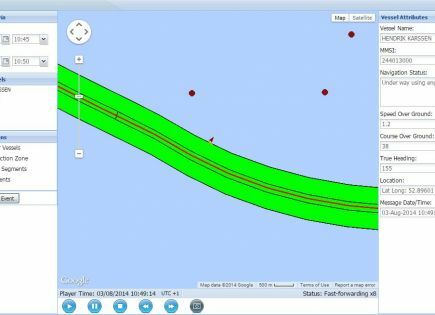 To prevent potential damage, the pipeline is ‘stitched’: a small deposit of gravel is placed on the middle of the freespan. This prevents vibrations, much like placing your hand on the strings of a guitar stops it from sounding. Accidents do happen at sea. Sometimes ships strand or sink. 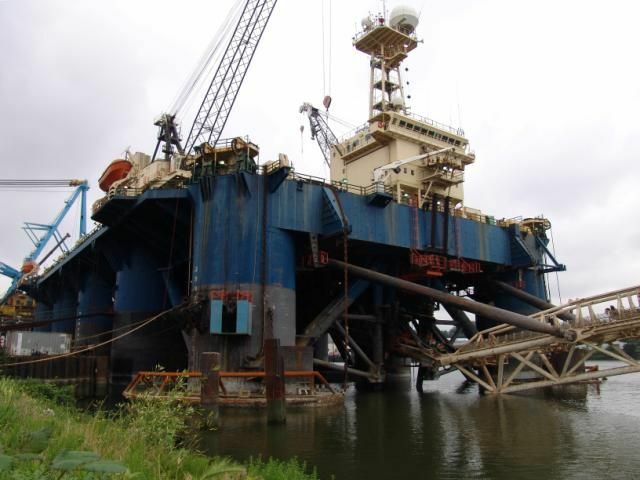 If a ship strands near the pipeline or sinks on it, it could cause a problem. It is important to make sure that an accident does not turn into a disaster. BBL has trained experts who know exactly what to do and who to call whenever an accident happens. 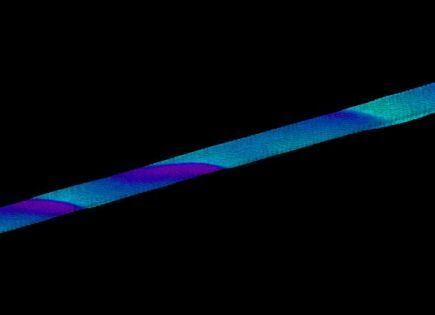 To monitor the integrity of the entire offshore pipeline, it is regularly surveyed. 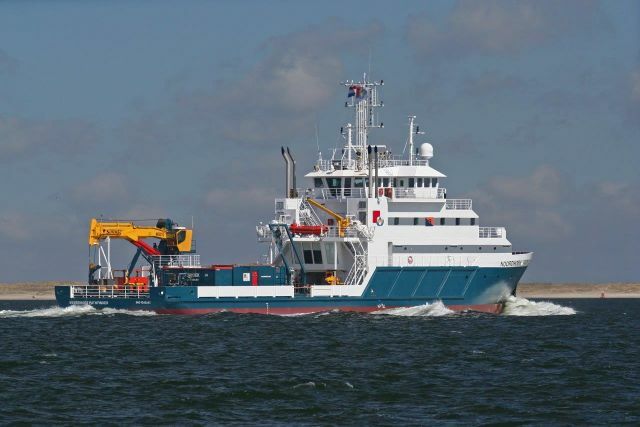 A special ship uses multi-beam echo sounding and side-scan sonar systems to survey the seabed along a 100 meter wide, 230 km long corridor along the pipeline. Based on this survey data, a thorough analysis is performed each year to ensure the safe operation of this important energy interconnector. 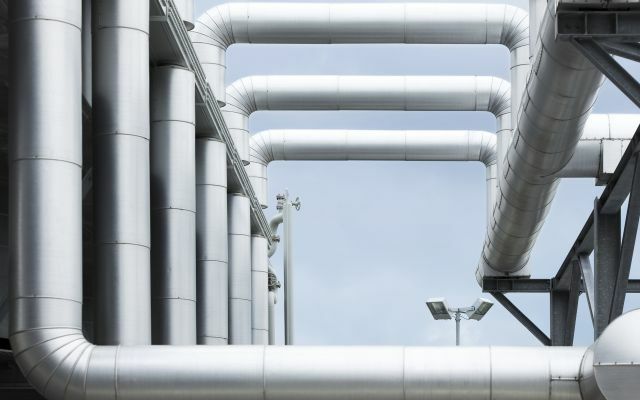 Some 230 kilometres of the 36” wide gas transport pipeline’s overall 235-kilometre length lie on the bottom of the North Sea. 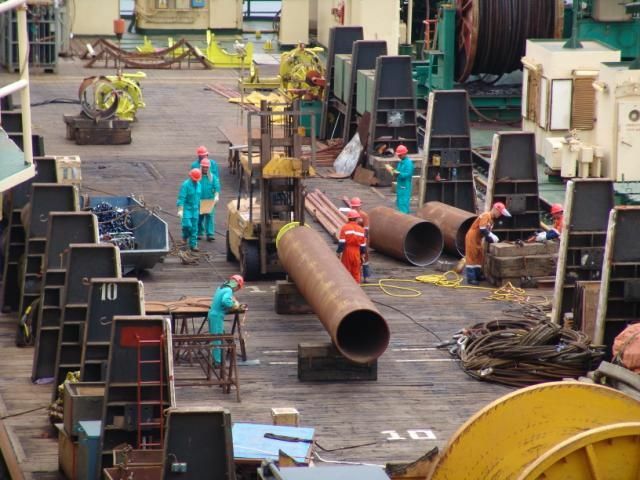 When the pipeline was being constructed in 2006, it was welded at sea and lowered onto the sea bed at a maximum rate of 4.9 km a day. The pipeline crosses several sand banks and other typical seabed features and a large number of shipping lanes. A cofferdam was built on either side of the offshore pipeline to enable safe connection of the pipeline to the onshore section. The dams have now been removed. 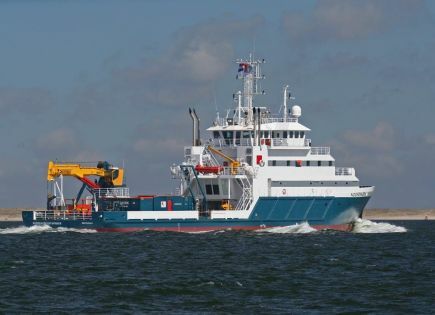 Activity at sea is monitored 24 hours a day, 7 days per week. Ships behaving in an unexpected way near the BBL pipeline are immediately contacted and we work closely with the Cost Guard in case intervention is needed. 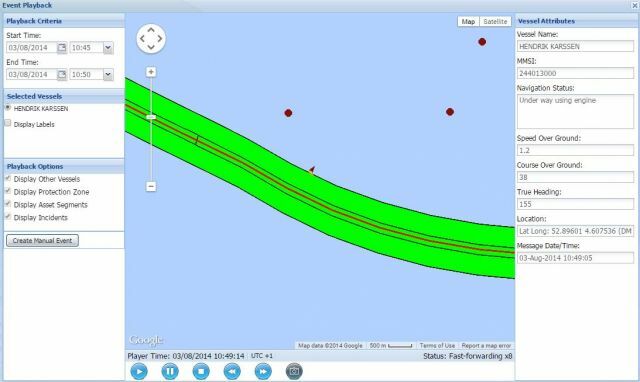 For example, if a large container ship suddenly stops near the pipeline, the vessel is contacted and advised not to anchor near the pipeline. We also monitor fishing activity near the pipeline. 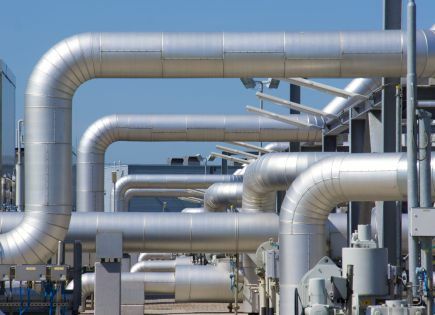 This is a four-kilometre stretch of pipeline that begins at our compressor station in Anna Paulowna, the Netherlands, and ends at the dune crossing location in Julianadorp. 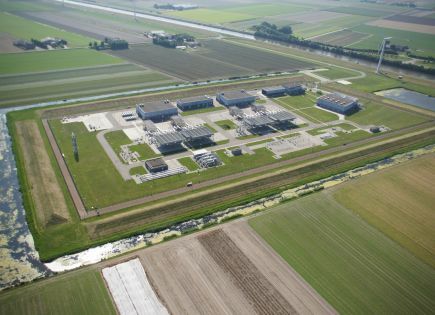 At the Grasweg near Anna Paulowna the BBL Company pipeline is connected to the Dutch national grid which is owned by Gasunie Transport Services. 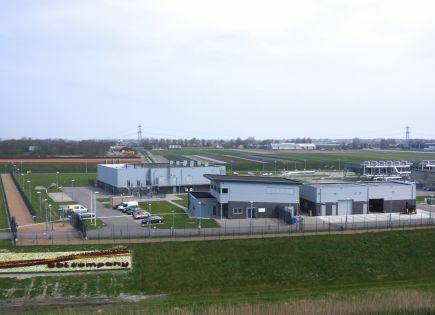 The BBL Company premises at Anna Paulowna consists of a compressor station formally called compressor station Noord-Holland. 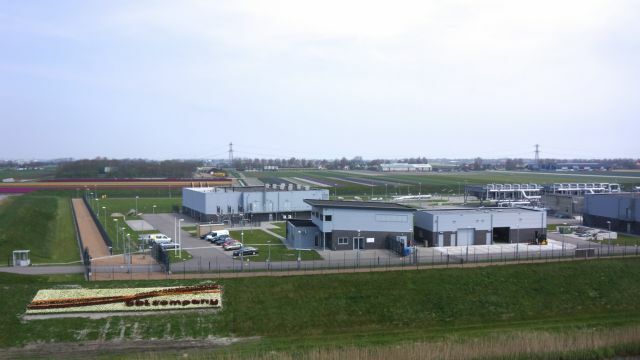 The purpose of the compressor station is to pump the gas from the Dutch national grid via the 235 kilometer long pipeline across the channel to the BBL Company Bacton reception facilities. The station's four compressors e.g. 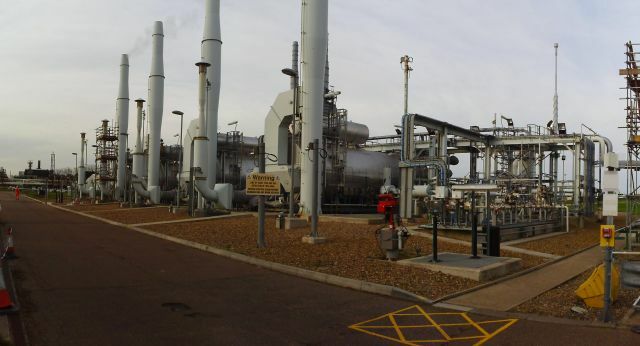 three plus one full spare each consisting of 23 MW are electrically driven and are able to pump 1,9 million cubic meters of gas to the UK per hour. On the BBL premises there is also a blending station and metering runs which are owned by Gasunie Transport Services. 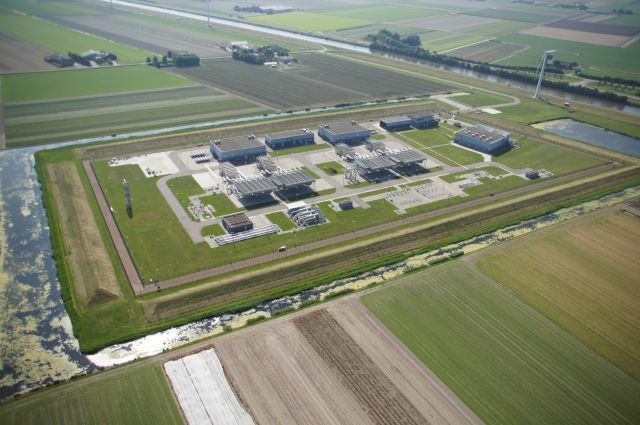 The facilities at Anna Paulowna are maintained and operated by N.V. Nederlandse Gasunie.